Time management is one of those skills no one teaches you in school but you have to learn. Successful time management can be challenging, especially to those who are new to freelancing or being self-employed. When you have a boss telling you what to do and when to do it by, it’s much easier to prioritize and figure out what needs to be done and when. When you’re not only dealing with client deadlines but also all of the day-to-day parts of running a business, on top of trying to maintain some sort of life outside of work, time management gets a whole lot trickier. In today's workplace, you can differentiate yourself by your ability to handle information and manage your time. You need to have a dedicated workspace. If you work in an office, this is easy enough to manage. But if you work from home, you’ll need to put a bit more effort in so get a proper desk. Each person has a best time. You can discover yours by monitoring your productivity over a period of time. Then you need to manage your schedule to keep your best time free for your most important work. Identify what you waste time doing and eliminate it. Don't try and multitask, it can't be done! Our brains can only focus and concentrate on one thing at a time, this is a proven scientific fact. While you can most likely handle multiple menial tasks, anything that requires you to concentrate, reason, or decide deserves full focus. Taking time away from your work to find things, whether on your computer or your physical desktop, can be one of the biggest time-wasters. This is one of those things that varies a lot by industry and personal preference, but you absolutely need to have a system in place to handle the information, files, and data that comes your way each day. This might include folders and tags on your computers, or file-folders, piles, and inboxes in your physical workspace. Check your email on a schedule and organize it in file folders. If the message needs more thought, move it to your to-do list. If it's for reference, print it out. If it's a meeting, move it to your calendar. Take action on an email as soon as you read it and flag those that have important information. If you don't know what you should be doing, how can you manage your time to do it? Set your goals! If you don’t have any goals, how do you know what’s important? What deserves your time and attention? You have to prioritize your work. For the most part, work due immediately (or within the next few days) should be completed first. Then comes the work due within the next week or two, and then everything else. Set up a system of marking the priority of different items on your schedule. Most people like software that can slice and dice their to-do list into manageable, relevant chunks. There are tons of time management tools like "Post-It notes" or "Remember the Milk". Experiment with a few and see what seems to fit with the way you work. There’s no “one-size-fits-all” solution out there that will work for everyone. But there’s almost certainly a tool out there for everyone. Use book marking services like del.icio.us to keep track of web sites. Instead of having random notes about places you want to check out, places you want to keep as a reference, etc., you can save them all in one place, and you can search and share your list easily. One of the biggest challenges you’ll face is learning to say “No”. Nobody likes to have those two letters thrown back at them. But just saying yes to every demand, without taking the time out to consider the request, can often leave you with an unmanageable workload. Always say you’ll get back to them and give yourself some time to research and think it through. Outsourced services can free up your time for the important things you want to do (like hanging out with your significant other or your kids. 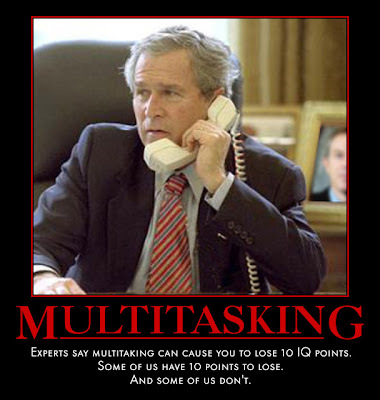 Multitasking usually does more harm than good. Try to work on one project at a time. Take at least two days a week off if at all possible. It doesn’t necessarily have to be Saturday and Sunday but whatever works for you. Just make sure you have some down time when you’re not working. Otherwise you’re likely to end up burning out! When you get burned out you end up unable to focus or complete work as quickly as you might otherwise. Take little breaks to refresh. Without them you grow tired and your concentration lags. Have a five or ten minute breaks throughout the day to recharge and rest your eyes (staring at a computer screen all day is very hazardous to your vision). Don’t overlook maintenance on your computer (backing up files, emptying your trash, cleaning out your inbox), basic maintenance on your office or workspace and on yourself, either. 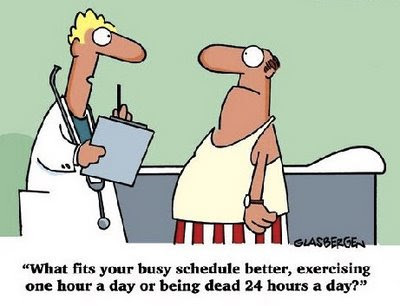 Get some exercise and eat right makes more productive. When unexpected disasters crop up, you end up spending more time playing catch-up than you would have if you had just maintained things in the first place.